Hot Spring Spas of Minnesota and Iowa, a 5-store hot tub, swim spa and sauna dealer with showrooms in Woodbury and Plymouth, Minnesota shares Helpful Ways to Reduce Muscle Stiffness and Joint Pain. There are many things people can do to help reduce pain, whether it is widespread throughout the body or located in specific areas. Here are three fast ways to reduce muscle stiffness and joint pain. Reduce Muscle Swelling, Stiffness and Joint Pain with Hot Water Therapy – Soaking in a hot tub regularly can greatly reduce the pain associated with muscle stiffness or joint injuries. 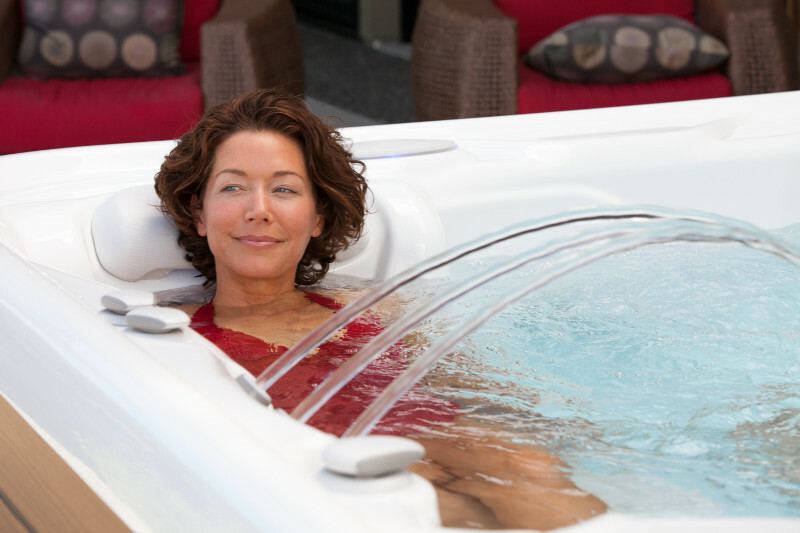 People with long-term pain from fibromyalgia, arthritis and other illnesses can get total body relief through submersion in the warm, temperature-controlled water of a portable spa. Hot tubs are easy to install in a yard and fit into most spaces, making it easy to have the instant relief available at any hour of the day, and gives people the ability to soak in privacy and relax at home. Hot tubs offer soothing massage to joints and muscle area through specifically placed jets that can target particular areas, or work on the entire body. The heat and massage encourage extra blood flow, bringing oxygen rich nutrients to the areas that need it most, and promote healing. Moreover, the simple act of submersing the body completely in water is therapeutic for pain issues because it removes pressure from gravity and allows the body to totally relax in the luxurious environment of the spa. Acupuncture Treatments to Reduce Pain – People should look into acupuncture as a way to treat chronic pain in particular areas such as back pain, neck pain, knee or other joint pain. When pain is located in a specific area, getting regular acupuncture treatments may be able to reduce the area of that pain. Consumers wanting to learn more about hot tubs and how they can help improve overall health and well-being are encouraged to pick up a copy of this free hot tub buyer’s guide, 7 Critical Questions You Must Ask Before You Buy a Hot Tub. Just call 763-450-5310 or visit the company website for more information at https://HotSpringGreen.com.